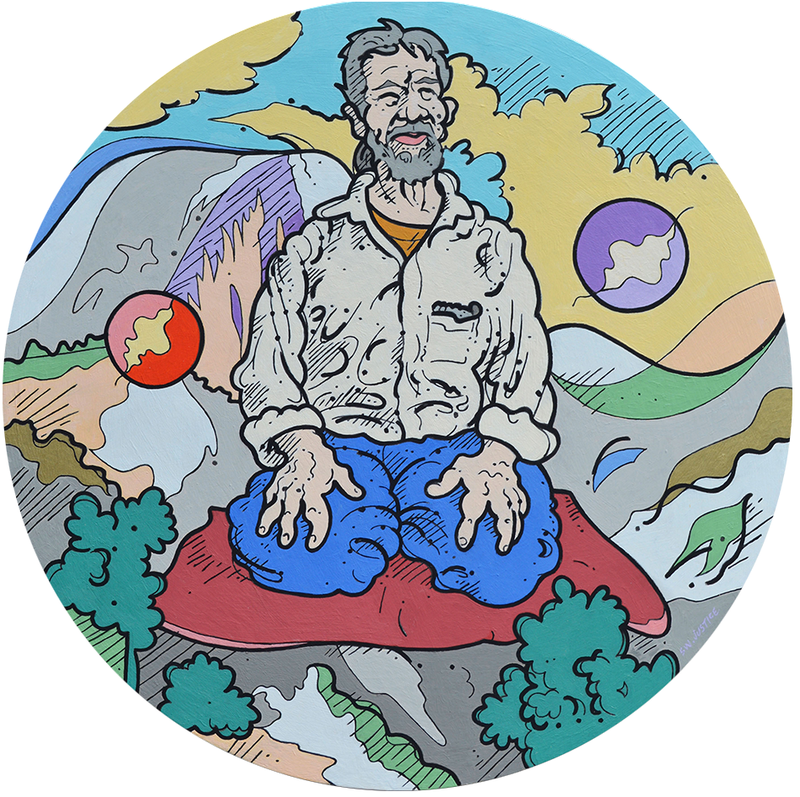 This work is a collision of 2 paintings, one of a round swirl of 2 Half Dome images that I drew back in the Plasteiscene Age that I called Yosemite Yin Yang, and the other was a portrait of tree-hugging beat poet Gary Snyder sitting like a mountain on his meditation cushion. The title stays as the composition evolved in sloppy Zen beat asymmetry, with references to National Park poster art, Sierra gold rush, and Japanese wabi sabi, wood block prints and anime. Being a tree hugger is a noble thing.